Christmas is work for cooks. As much as I love Christmas (SLASH my birthday) I haven’t made it through one since I hit my twenties without being heavily involved in the washing of dishes and preparation of large meals. It’s kind of a drag but I will not have it any other way. Christmas without a festive breakfast and dinner is sad, which means someone has to cook. But because I also want to enjoy my birthday I will plan ahead and do as much prep beforehand as possible. To you I submit: make-ahead breakfasts for Christmas morning. Pop them in the oven, set a timer, and go rifle through your stocking for chocolates. 1. The Last Bread Pudding Recipe You’ll Ever Need. 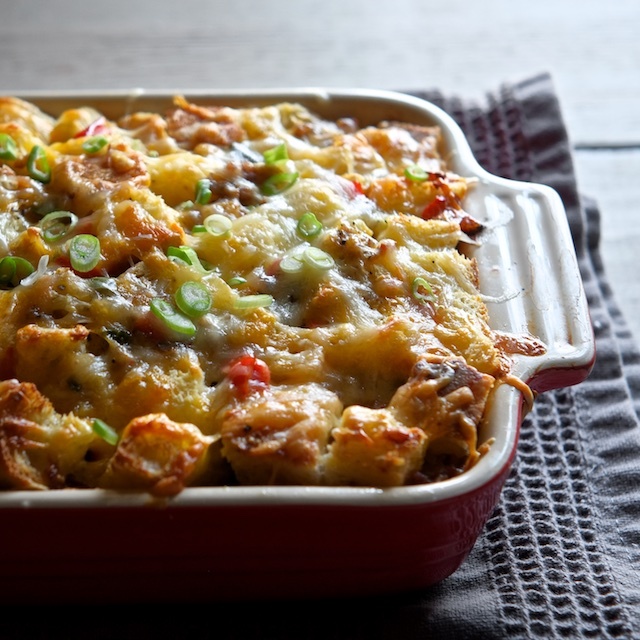 Did you know that most breakfast casseroles are just bread pudding in disguise (frequently named strata)? I love strata and bread pudding because you can make them savory or sweet, they are festive and filling, and they really benefit from an overnight rest in the fridge. I made a sausage and spinach version with gruyere using this method and it turned out pretty great. 2. Overnight oatmeal. This recipe I wrote for lazy and rushed college kids, but who doesn’t want to sleep in on Christmas morning and do as little work as humanly possible? 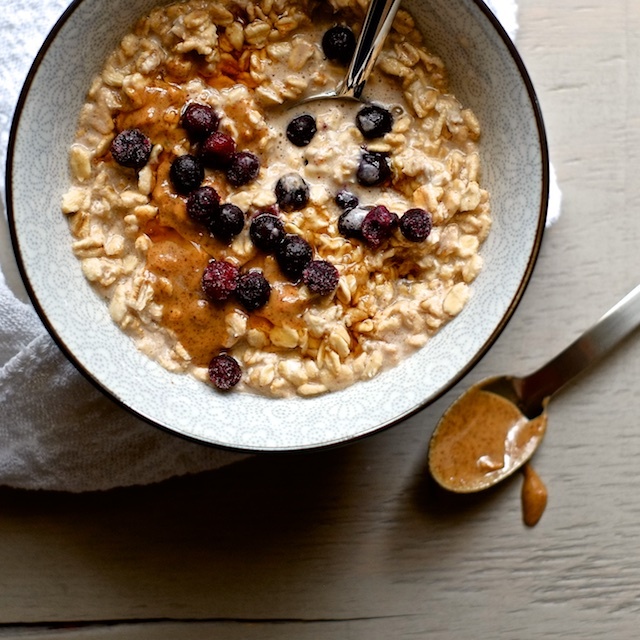 This version is healthy (so you can save your sins for dinner) and makes use of frozen blueberries, but you can use the oat to milk ratio as a guide and customize it with roasted apple, pumpkin, cinnamon, etc. And as good as this oatmeal is cold, a quick spin in the microwave makes it a lot more like traditional oatmeal. 3. 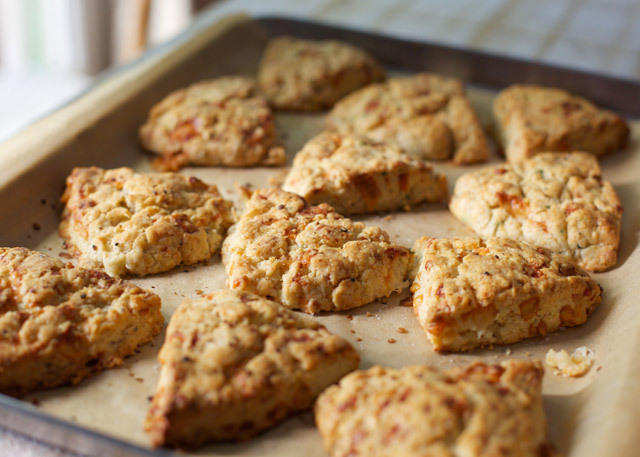 The Last Scone Recipe You’ll Ever Need. These scones are bananas and completely customizable too, so you can take them savory or sweet, cheesy or fruity, and it’s all the same process. Make the dough the night before, stash it in the fridge over night, and bake them in the morning. 4. Cinnamon Rolls. Yeasted breads require a bit more baking confidence than I can typically muster, but these rolls from The Candid Appetite are so gorgeous I might leave my comfort zone for them. Bake them the day before, reheat the morning of, and bathe them in cream cheese frosting. 5. Classic Quiche. I have already signed up to bring quiches to my grandma’s house this Christmas. I’ll bake them the day before and reheat them in the oven before we eat. This version with leeks, bacon, and spinach by Foodiecrush is gorgeous and looks just different enough from my typical quiche lorraine to be inspiring. 6. Australian Sausage Roll. So I’ve never had a sausage roll, but I’m imagining that some spicy breakfast sausage would be just as at home in a blanket of puff pastry as the lamb and Italian sausage in this version from Spoon Fork Bacon. I would assemble the rolls, keep them in the fridge over night, then egg wash and bake them in the morning. Do you have a Christmas morning food strategy? Spill. We all need ideas! Thanks for the ideas. Think I'm going with the Quiche. Although the scones looks delicious. Merry Christmas!